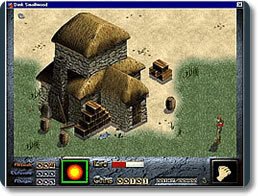 Games that involve humor as a central aspect of the game. 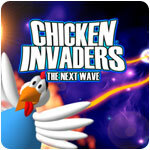 Chicken Invaders (pc) - Save the universe from evil invading chickens! 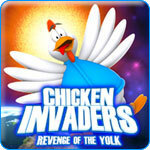 Chicken Invaders 2 (pc) - Save the universe from evil invading chickens! 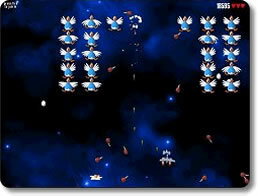 Chicken Invaders 3 (pc) - Save Earth from the greatest chicken threat! 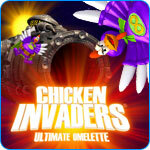 Chicken Invaders 4: Ultimate Omelette (pc) - Survive the assault of the marauding chicken menace! Dink Smallwood (pc) - Go from being a bumbling pig farmer to a bumbling adventurer! 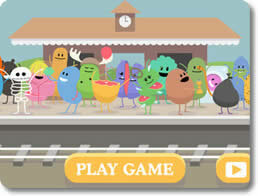 Dumb Ways to Die (mobile) - Are you smart enough to keep these idiots from dying? 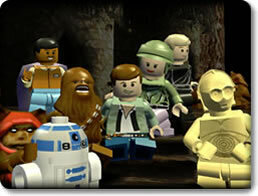 Lego Star Wars: The Complete Saga (mobile) - Experience the entire star wars story envisioned in LEGO! 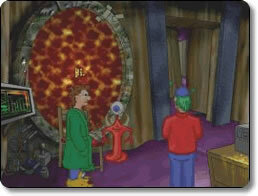 Out of Order (pc) - A humorous adventure in the tradition of Maniac Mansion! 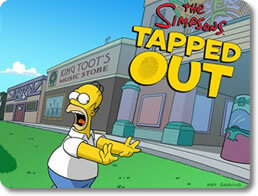 The Simpsons Tapped Out (mobile) - Make your own springfield with your favorite simpsons!